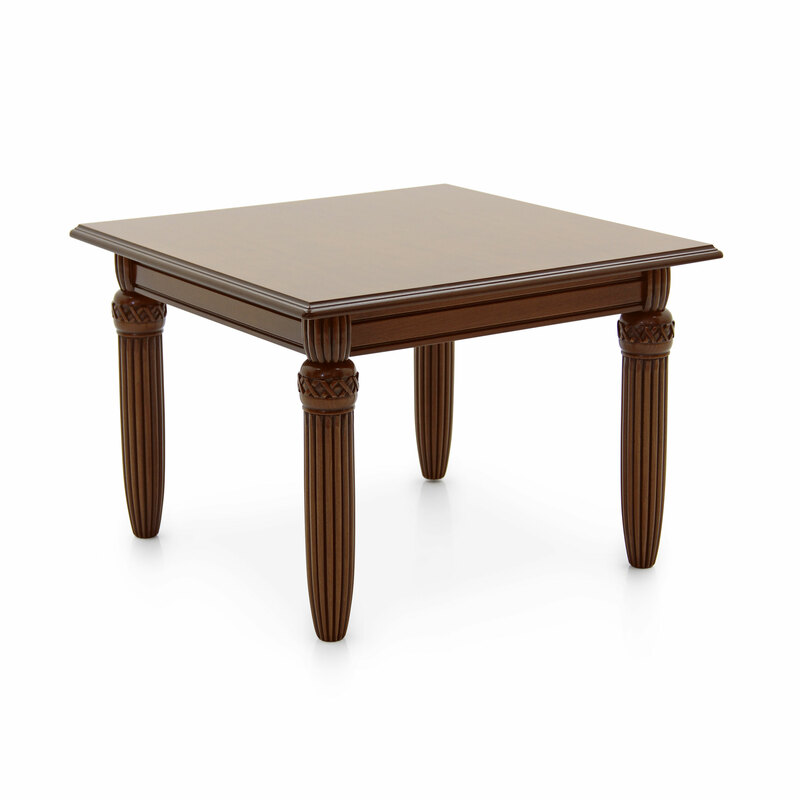 Elegant small square table made of beech wood with particularly refined lines. 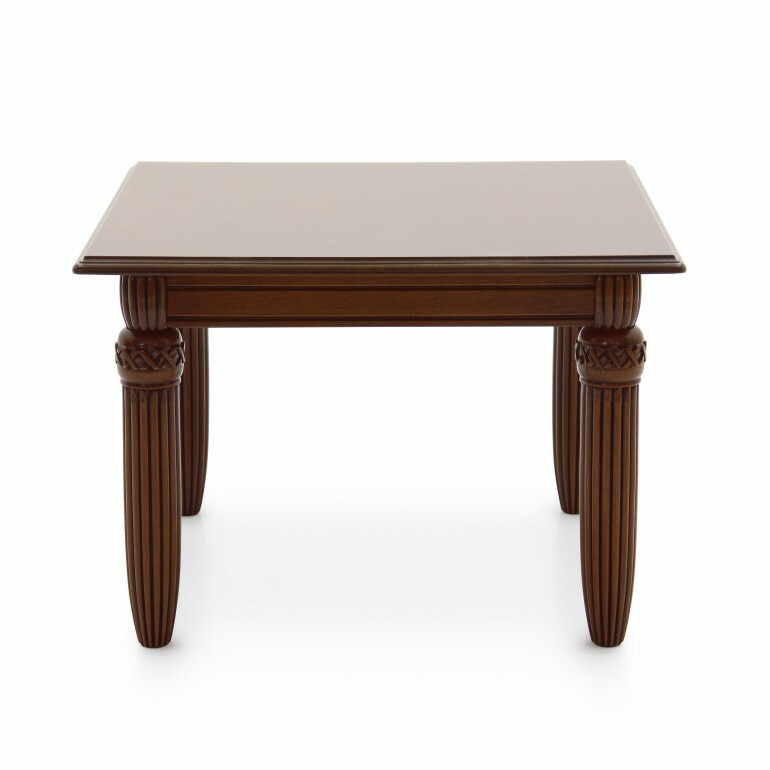 Considering its size it is particularly suitable as lamp table for classic style living rooms. The distinguishing feature of this table is the characteristic and unmistakable shape of its legs.